When you walk into Re.Pose probably one of the first things you will notice is a unique scent floating from one of the counselling offices. Essential Oils are an important part of the complimentary therapies offered through Re.Pose. 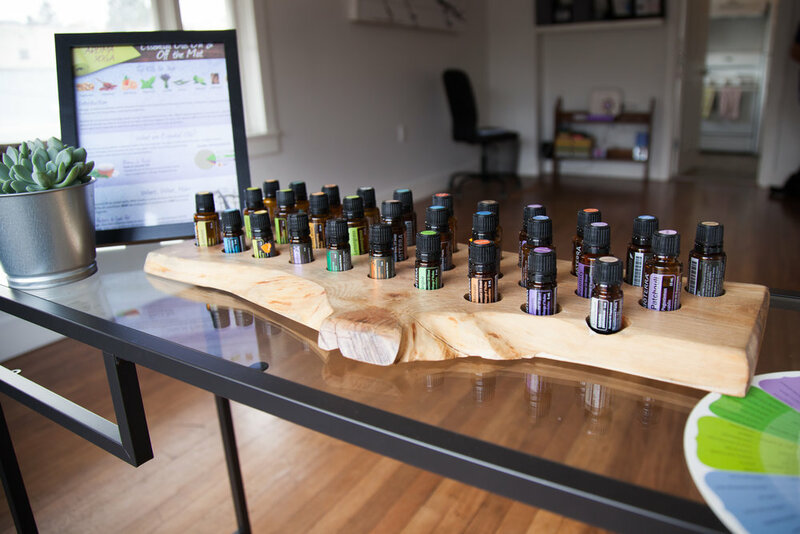 We use essential oils at Re.Pose for a couple of reasons; one is that we strongly believe that people are always looking for more options in their life to work with their emotional health and wellness. 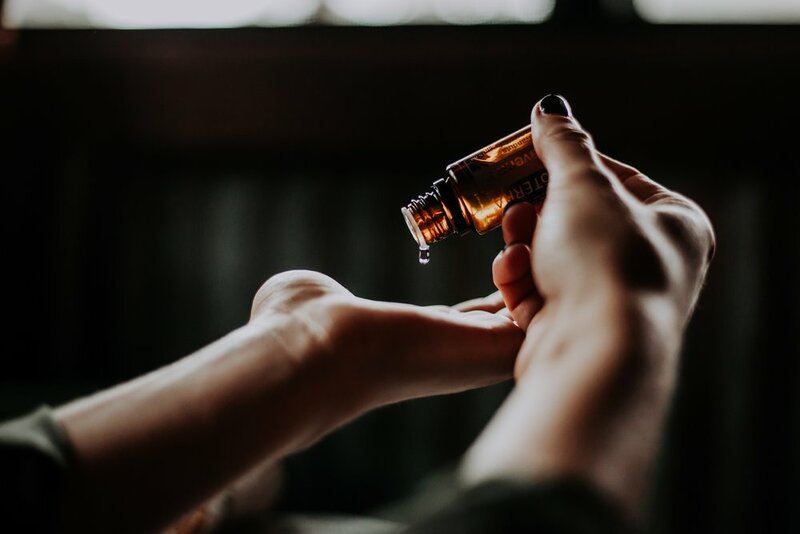 By providing options like essential oils to support emotional states of being, it automatically creates a sense of hope, where one once felt there were no options or very few, there now are some new simple alternatives for moving through life with more ease. 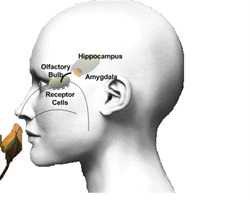 Because our olfactory system in our nose is directly connected to our limbic system (emotional centre of our brain), simply inhaling the tiny molecules found in essential oils can impact one's emotional state within 20 seconds. The second reason Re.Pose is passionate about providing options of care through essential oils is because there is a growing body of research that shows essential oils can penetrate the cell membrane, and some can cross the blood brain barrier, working to support the brain and nervous system in mental and emotional health. We are not doctors or aromatherapists. Essential oils do not treat, cure, or heal medical or mental health diagnosis. Please do not discontinue prescription use or a medical professionals advice that is treating you, without consulting with them first. There are multiple causes for mental, physical and emotional health symptoms. Please seek licensed professional advice for further treatment. If you have ever enjoyed the scent of a rose, you’ve experienced the aromatic qualities of essential oils. These naturally occurring, volatile aromatic compounds are found in the seeds, bark, stems, roots, flowers, and other parts of plants. EO's provide plants with protection against environmental threats and play a role in plant pollination. In addition to their intrinsic benefits to plants and being beautifully fragrant to people, EO's have long been used for food preparation, beauty treatment, and health-care practices. EOs are used for a very wide range of emotional and physical wellness applications. They can be used a single oil at a time or in complex blends in one of three methods. 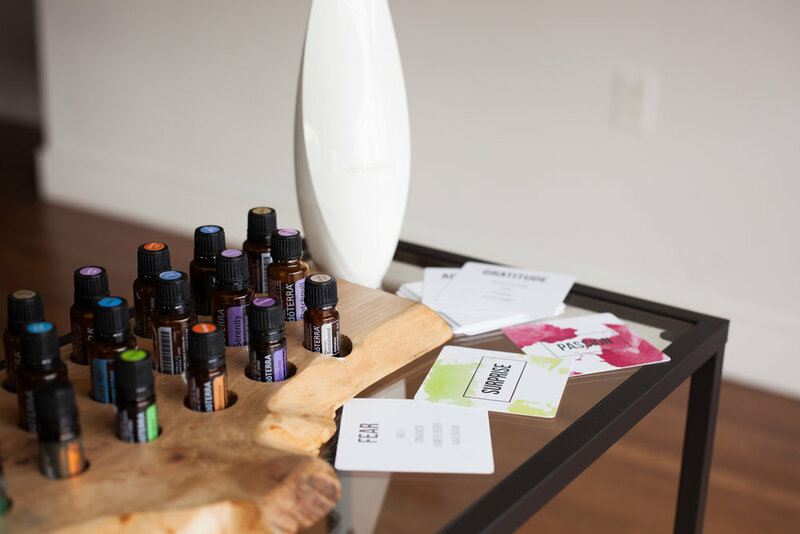 Certain EOs, when diffused, can be very stimulating, while others can be calming and soothing. 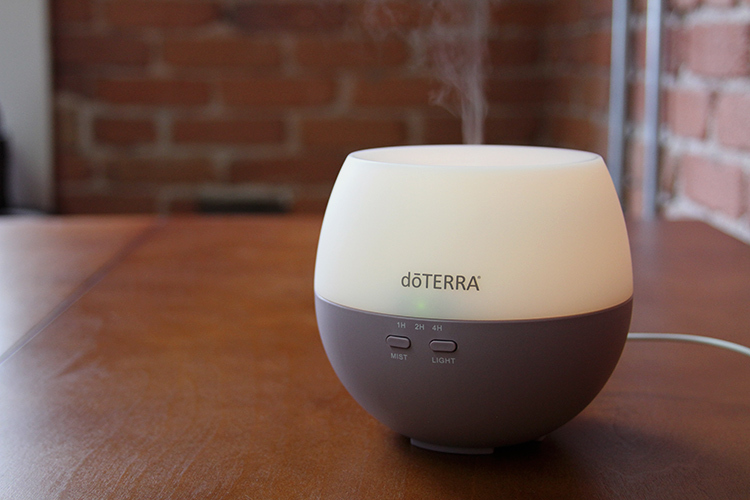 Diffusing essential oils can also cleanse and purify the air of unwanted odors. EOs are easily absorbed by the skin and can be safely applied topically on pulse points or on the location of concern on the body. Because all of us have different body chemistry and respond differently to new things, when starting with essential oils it is important to err on the side of dilution to protect your skin and allow yourself to get acquainted with the oils. Certain essential oils have a rich culinary history and can be used as dietary supplements for targeted wellness. It is important when considering the use of essential oils internally to only use the most pure oils. Many essential oil companies will say 100% therapeutic grade when in fact you only need 10% of the essential oil in the bottle to make this claim because there is no regulatory body for essential oils. Doterra is the brand that Re.Pose uses because of it’s high commitment to purity and sourcing. Doterra is also a science company and continues to do research with John’s Hopkins University Hospital and Duke University. You can read more about their purity and sourcing here. When using essential oils internally be conscious of the purity and also note that many of the oils deprived from trees are not for ingestion. Oils such as citrus and many flowers can have a powerful healing effect when used internally. For more research in this area click here. EO's are both exciting and promising when it comes to taking care of your own and your family’s health. Whether you’re applying essential oils topically, enjoying the aromatic benefits through diffusing, or taking essential oils internally, the positive effects of essential oils are boundless. That’s why you’ll want to ensure that the essential oils you are using are capable of delivering on their promise. You’ll want to make sure that you are choosing oils for their potency and their purity. To peruse the options for getting the most pure and potent essential oils into your life click here.